Full Grand Exchange support is currently easily obtainable in the RuneScape Companion App, to help you to purchase and sell items on the run! 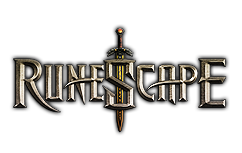 This feature is open to all players who will be while using new RuneScape Authenticator to help guarantee the security of your items, and also Bank PIN support. An advanced JAG user you will additionally need to speak with the Grand Exchange Tutor in-game make it possible for the feature after switching around the Authenticator. You may still be in a position to access the app without worrying about RuneScape Authenticator enabled. However, you simply won't have the capacity to work with it to acquire or sell items on the Grand Exchange. In case you haven't already, have a go! Items bought and sold while using app will move relating to the GE and your bank, as an alternative to your inventory, to avoid exploits. Anything you want to sell via the app must be within your bank, of course , if you want to buy a product you should definitely have space inside your bank. According to your feedback, there isn't any cap on the quantity of transactions you may make each day via the app. However, we'll be keeping track of this to make certain doesn't necessarily cause imbalance or allow exploits. Should it be necessary, we'll help you to agree a sensible limit. Additionally it is worth noting that as you can get or sell Bonds through the app, you will not manage to redeem them or cause them to tradeable without logging in to the game. Another update to the Companion will be to release it on the iOS and Android stores being a standalone app. We'll help keep you informed on progress in the news.